I thought it was normal that security software installed on PCs caused slowdowns. 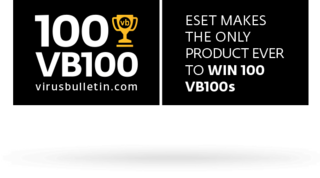 But ESET is very much different. It does its job in the background without us even noticing. Anthony Avestruz, Senior Technical Support Engineer, Honda Philippines, Inc.
ESET, you are absolutely the finest in researching threats and malware. That's why I will never use any other antivirus software and I love that I upgraded to Smart Security. Your software is worth every penny. I am forever grateful to you and all that you do.